"Today is the Queen's birthday." "Well ,then what the heck's going on." Confused? Your humble servant and hokey historian will attempt to explain. Technically all of the statements above are correct. Today is Victoria Day in Canada, where we observe Queen Victoria's birthday and the current monarch's birthday, even though this isn't really Queen Elizabeth's birthday. 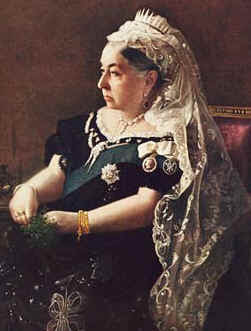 Queen Victoria (cute little thing isn't she) ruled the commonwealth for over 60 years, dying in 1901. Her birthday was the 24th of May but in Canada we celebrate it on the Monday before or if Monday falls on the 24th. So this year, it's the 18th of May. We do this so we get our first long weekend of the spring/summer season. Hence, May Two-Four. But in Canada this is a double-entendre because that's the term Canadians apply to a case of 24 beer, many of which are purchased to celebrate the Victoria Day Weekend. And here's where things get even more interesting. Not only do we celebrate the birthday of a Queen of another country. But we buy beer made by companies from other countries. 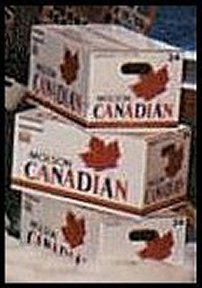 Canada's second largest brewer Molson is owned by Coors. So much for it's wildly famous "I Am Canadian" advertising campaign! The largest brewer in Canada Labatt's is owned by Belgian brewer Interbrew, now known as Anheuser-Busch InBev. And so my friends, this little story has served to illustrate the quintessential Canadian. We invite ourselves to somebody else's birthday party and drink the other guests beer, eh! Now you know the rest of the story. No wonder Canadians are so proud of being Canadian, makes sense to me, Eh! ettarose: That's some comparison - Paul Harvey. I'm flattered, thanks. Phillipia: I was always a Labatt's man - Blue Lite during my formative years.